How can Italy work together with allies to drive military technological development? At the forefront of battlefield digitization and air & coastal defence, Leonardo develops integrated command and control centres, soldier systems and full vehicles, leveraging a complete range of state of the art C4ISR sensors, communications, advanced artillery and smart ammunition. Leonardo provides airborne solutions that range from components through to full ISR/ISTAR, airborne sensors and effectors that operate across the full electromagnetic spectrum from DC to Light (and beyond into UV). With a broad customer base that includes platform and system integrators Leonardo provides integrated ISTAR solutions based on proprietary sensor technology for air, land and sea applications. Leonardo is a world player in Aerospace, Defence, Security and Space, developing advanced components to fully integrated systems and platforms. View details Bittium Sponsors and Exhibitors http://www.bittium.com Bittium is a trusted Finnish company with over 30 years of experience in advanced radio communication technologies and biosignal processing. For Defense & Security market Bittium provides the most modern products and solutions for tactical & secure communications. The products and solutions for tactical communications bring broadband data and voice to all troops across the battlefield. Bittium Tactical Wireless IP Network™ (TAC WIN) is a Software Defined Radio based wireless broadband network system intended for military and public safety use. With the system MANET, link, and connection networks can be formed into one logical IP network quickly, no matter what the location is. Bittium TAC WIN is compatible with existing fixed and wireless network infrastructures. The next generation tactical radios, Bittium Tough SDR Handheld™, tactical handheld radio for dismounted soldiers, and Bittium Tough SDR Vehicular™, tactical radio for vehicle installations, help to produce and share real time situational awareness (location, image, voice, video, and sensor data) to all levels of the battlefield. This improves the performance and the effectiveness of the tactical troops, and leading the troops is easier based on the up-to-date situational awareness and more reliable connections. The uniquely wide range of frequency bands in the radios improves combat survivability. Using several waveforms, even simultaneously, improves compatibility and enables operations on different levels and missions. Bittium Tough Comnode™ fulfills the data transfer needs of mobile troops by functioning for example as a VoIP phone, an IP router, and an SHDSL repeater. Additionally, Bittium Tough Comnode also provides SIP server functionalities of the tactical voice network for commercial VoIP terminals and enables using also legacy Combat Net Radios as part of the IP based tactical communication system. View details Comtech Systems Sponsors and Exhibitors http://www.comtechsystems.com Founded in 1967, Comtech Systems, Inc. has spent over 50 years designing and implementing cutting-edge solutions to the toughest communications challenges worldwide. In addition to the US military, our customers include foreign governments and militaries across the globe. Additionally, we provide remote communication solutions to the commercial sector, including some of the world’s largest energy companies, such as Royal Dutch Shell, Petronas, and PEMEX. Comtech Systems, Inc. has two interrelated focuses: Modern Troposcatter Communications Troposcatter provides a high data-rate, low latency, over-the-horizon communication link at ranges far beyond what is achievable with line-of-sight communications, without the need to rely upon satellites or intermediate relays. With Comtech troposcatter modems used in over 90% of the modern troposcatter systems deployed worldwide, Comtech is the undisputed leader in advanced troposcatter technology. Over 40 years of continuous troposcatter research and development (more than any other company in the world) have made Comtech responsible for a number of industries “firsts:” •	The first 50 Mbps troposcatter terminal •	The first Troposcatter specific Forward Error Correction [FEC] •	Automatic Power Control and Code Rate to maximize performance and reduce interference •	The first operational troposcatter link on an offshore floating platform •	Rapidly deployable troposcatter systems that can be deployed in under one hour Complex Communication Network Design and Systems Integration Comtech Systems, Inc. draws upon decades of experience in a vast array of communications technologies to provide customized video, voice, and data network solutions specifically designed to meet each client’s unique needs. Comtech has designed and delivered these systems to military and commercial customers on every continent except Antarctica, utilizing HF/VHF/UHF, Microwave, Troposcatter, Satellite, and Fiber technologies, as well as many others. Comtech expertise has been utilized for a wide variety of applications, ranging from commercial telecom and offshore oil platform communications to air defense systems and secure military networks. View details ECI Sponsors and Exhibitors http://www.ecitele.com ECI is a global provider of ELASTIC network solutions to CSPs, critical infrastructures as well as data center operators. Along with its long-standing, industry-proven packet-optical transport, ECI offers a variety of SDN/NFV applications, end-to-end network management, a comprehensive cybersecurity solution, and a range of professional services. ECI's ELASTIC solutions ensure open, future-proof, and secure communications. With ECI, customers have the luxury of choosing a network that can be tailor-made to their needs today while being flexible enough to evolve with the changing needs of tomorrow. For more information visit www.ecitele.com. MBI s.r.l. was founded in 2001 with a mission to create innovative IT services and telecommunications systems. Two years later, the group joined Broadsat s.r.l, which sells telecommunication services. Over time it has become an international reference of different areas, a member of some international standardization forums and has been involved in European Union and European Space Agency projects (ESA). The key ingredients for the success of MBI can be identified as continuous research and development into innovative solutions, its choice of partners and customers which help it grow. View details SatADSL Sponsors and Exhibitors https://www.satadsl.net/ SatADSL (www.satadsl.net) is a satellite Service Provider which designs and offers innovative satellite networking solutions to banks, microfinances, broadcasters, NGOs, Governments, ISPs, telecom operators and other companies in worldwide remote areas or where terrestrial infrastructure is not reliable. Founded in 2011, SatADSL has already installed more than 3,000 VSAT networks in more than 45 countries. It specializes in providing tailor-made solutions based on customers’ specific requirements and flexible service plans that meet its clients’ budgets. SatADSL is the creator of the innovative Cloud-based Service Delivery Platform (C-SDP) which serves as a Platform-as-a-Service (PaaS) solution, enabling operators to deliver satellite-based connectivity without investing in additional physical infrastructure. View details GVF (Global VSAT Forum) Supporters http://www.gvf.org GVF is the single and unified voice of the global satellite industry. Founded in 1997, it brings together organisations engaged in the delivery of advanced broadband and narrowband satellite services to consumers, and commercial and government enterprises worldwide. Headquartered in London, GVF is an independent, non-partisan and non-profit organisation with 230+ members from more than 100 countries. The broad-based membership represents every major world region and every sector of the satellite industry, including fixed and mobile satellite operators, satellite network operators, teleports, satellite earth station manufacturers, system integrators, value added and enhanced service providers, telecom carriers, consultants, law firms, and users. View details Pro Security Zone Supporters http://www.prosecurityzone.com ProSecurityZone brings the latest security news to professionals throughout the world every day, offering them industry insight, new developments and inspiring ideas. Each day, news is added to our growing archive, creating a rich and valuable information resource for anybody involved or interested in the security industry. With free access, free publication of news and free newsletter distribution, both users and suppliers have the world of security at their fingertips. Bittium is a trusted Finnish company with over 30 years of experience in advanced radio communication technologies and biosignal processing. For Defense & Security market Bittium provides the most modern products and solutions for tactical & secure communications. The products and solutions for tactical communications bring broadband data and voice to all troops across the battlefield. Bittium Tactical Wireless IP Network™ (TAC WIN) is a Software Defined Radio based wireless broadband network system intended for military and public safety use. With the system MANET, link, and connection networks can be formed into one logical IP network quickly, no matter what the location is. Bittium TAC WIN is compatible with existing fixed and wireless network infrastructures. The next generation tactical radios, Bittium Tough SDR Handheld™, tactical handheld radio for dismounted soldiers, and Bittium Tough SDR Vehicular™, tactical radio for vehicle installations, help to produce and share real time situational awareness (location, image, voice, video, and sensor data) to all levels of the battlefield. 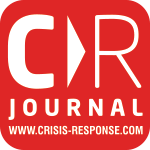 This improves the performance and the effectiveness of the tactical troops, and leading the troops is easier based on the up-to-date situational awareness and more reliable connections. The uniquely wide range of frequency bands in the radios improves combat survivability. Using several waveforms, even simultaneously, improves compatibility and enables operations on different levels and missions. Bittium Tough Comnode™ fulfills the data transfer needs of mobile troops by functioning for example as a VoIP phone, an IP router, and an SHDSL repeater. Additionally, Bittium Tough Comnode also provides SIP server functionalities of the tactical voice network for commercial VoIP terminals and enables using also legacy Combat Net Radios as part of the IP based tactical communication system. Founded in 1967, Comtech Systems, Inc. has spent over 50 years designing and implementing cutting-edge solutions to the toughest communications challenges worldwide. In addition to the US military, our customers include foreign governments and militaries across the globe. Additionally, we provide remote communication solutions to the commercial sector, including some of the world’s largest energy companies, such as Royal Dutch Shell, Petronas, and PEMEX. Comtech Systems, Inc. has two interrelated focuses: Modern Troposcatter Communications Troposcatter provides a high data-rate, low latency, over-the-horizon communication link at ranges far beyond what is achievable with line-of-sight communications, without the need to rely upon satellites or intermediate relays. With Comtech troposcatter modems used in over 90% of the modern troposcatter systems deployed worldwide, Comtech is the undisputed leader in advanced troposcatter technology. Over 40 years of continuous troposcatter research and development (more than any other company in the world) have made Comtech responsible for a number of industries “firsts:” •	The first 50 Mbps troposcatter terminal •	The first Troposcatter specific Forward Error Correction [FEC] •	Automatic Power Control and Code Rate to maximize performance and reduce interference •	The first operational troposcatter link on an offshore floating platform •	Rapidly deployable troposcatter systems that can be deployed in under one hour Complex Communication Network Design and Systems Integration Comtech Systems, Inc. draws upon decades of experience in a vast array of communications technologies to provide customized video, voice, and data network solutions specifically designed to meet each client’s unique needs. Comtech has designed and delivered these systems to military and commercial customers on every continent except Antarctica, utilizing HF/VHF/UHF, Microwave, Troposcatter, Satellite, and Fiber technologies, as well as many others. Comtech expertise has been utilized for a wide variety of applications, ranging from commercial telecom and offshore oil platform communications to air defense systems and secure military networks. ECI is a global provider of ELASTIC network solutions to CSPs, critical infrastructures as well as data center operators. Along with its long-standing, industry-proven packet-optical transport, ECI offers a variety of SDN/NFV applications, end-to-end network management, a comprehensive cybersecurity solution, and a range of professional services. ECI's ELASTIC solutions ensure open, future-proof, and secure communications. With ECI, customers have the luxury of choosing a network that can be tailor-made to their needs today while being flexible enough to evolve with the changing needs of tomorrow. For more information visit www.ecitele.com. SatADSL (www.satadsl.net) is a satellite Service Provider which designs and offers innovative satellite networking solutions to banks, microfinances, broadcasters, NGOs, Governments, ISPs, telecom operators and other companies in worldwide remote areas or where terrestrial infrastructure is not reliable. 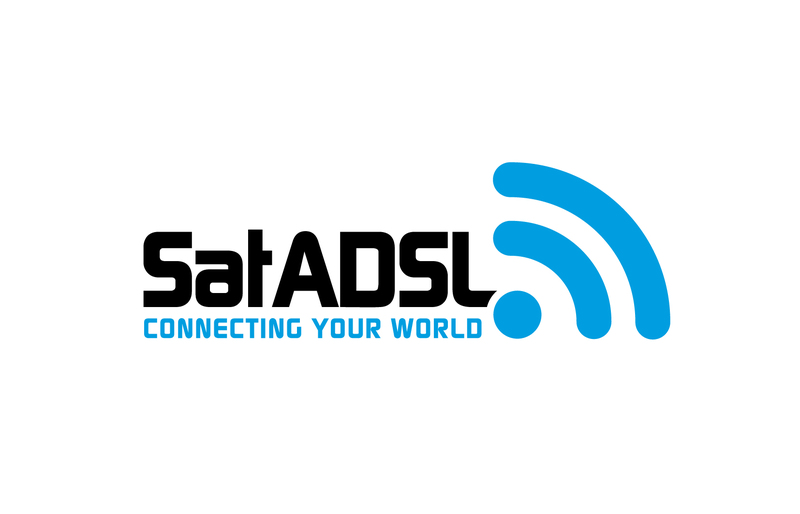 Founded in 2011, SatADSL has already installed more than 3,000 VSAT networks in more than 45 countries. It specializes in providing tailor-made solutions based on customers’ specific requirements and flexible service plans that meet its clients’ budgets. SatADSL is the creator of the innovative Cloud-based Service Delivery Platform (C-SDP) which serves as a Platform-as-a-Service (PaaS) solution, enabling operators to deliver satellite-based connectivity without investing in additional physical infrastructure. ProSecurityZone brings the latest security news to professionals throughout the world every day, offering them industry insight, new developments and inspiring ideas. Each day, news is added to our growing archive, creating a rich and valuable information resource for anybody involved or interested in the security industry. With free access, free publication of news and free newsletter distribution, both users and suppliers have the world of security at their fingertips.